Holiday Gifts are a good option that allows a gift appreciation by the recipient for all times to come. It is a wonderful option for those planning a big trip or short break. If you have been wondering what to buy for someone special than your search ends here. You can buy a "Holiday Voucher" for your loved ones. It also differentiates from other gifts. Honeymoon Trip as a Wedding Gift, Wedding night etc. Employee incentive as Getaway breaks. Contest award as Holiday Packages. However, you may be thinking how we can gift a Holiday to someone. For this only, buy a Prepaid Holiday Voucher. After the gift is received, they only have to make a call and they can ask for a Holiday Package from our expert and he will help them out making their planning. You can purchase these Holiday Vouchers by payment through cheque or credit card. 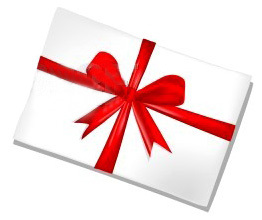 Holiday Vouchers are available in Denominations of Rs. 2100, Rs.5100, Rs. 11000, Rs. 25000 and more. *Title : Mr. Mrs. Ms. Dr.